COSTA MESA, CA: What happens when you combine the immersive service experience of a world-renowned East Coast university with a dynamic girls-only summer camp on the West Coast? That’s what Girls Incorporated of Orange County is learning this summer by welcoming eight Duke University students from North Carolina as part of the DukeEngage program, specifically designed to encourage Duke University undergraduates’ service learning and civic engagement. Since 2007, DukeEngage has provided one-time funding for over 3,000 undergraduates to volunteer to help meet a community need locally, domestically or internationally in over 78 nations. While in the past international DukeEngage projects were emphasized, in recent years the program has begun to focus on domestic placements. Simultaneously, Duke University’s Global Women’s Health Technologies, formed in 2013, was looking for a partner with whom it could share efforts to empower women through technology, education, and solutions. Girls Inc. of Orange County, which encourages girls to enter the science, technology, engineering, and math (STEM) fields that women are often underrepresented in, seemed like the perfect fit. 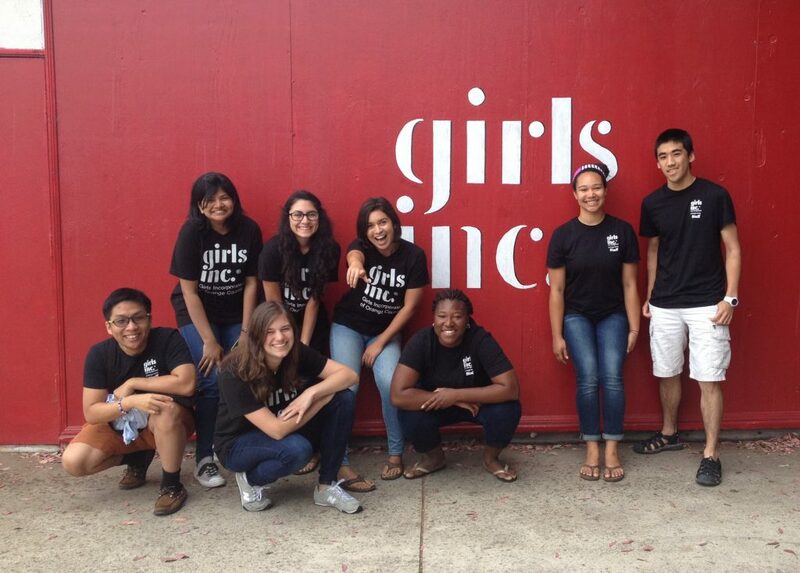 The DukeEngage students worked directly with Girls Inc. of Orange County’s Eureka! Manager, Cathleen Chase, and STEM Manager, Christie Pearce, to develop a week-long curriculum for the Girls Inc. Eureka! program. Eureka!, a four week summer camp held at both Santa Ana College and Golden West College every July, exposes Orange County middle-school and high-school girls to the many facets of STEM. Through fun, hands-on workshops, girls are able to discover and explore different career paths and plan their futures. Eureka! also includes fitness, nutrition, and personal development activities that encourage girls to be healthy, strong, and self-confident. In addition to implementing their engineering curriculum at Eureka!, the Duke students will help facilitate Girls Inc. programs in topics such as Living Safe & Strong and College Bound. For more information on Eureka!, please contact Eureka! Manager, Cathleen Chase, at cchase@girlsinc-oc.org. For more information on DukeEngage, please contact program leader Christine Mulvey at Christine.mulvey@duke.edu. About Girls Incorporated of Orange County: Established in 1954 as the Harbor Area Girls Club, Girls Inc.® of Orange County has been a respected member of the non-profit community for over 60 years. The mission of Girls Inc. is to inspire all girls to be strong, smart, and bold. We put our mission into practice through the Girls Inc. experience that equips girls to navigate gender, economic, and social barriers and grow into healthy, educated and independent adults. Girls Inc. of Orange County positively changes the lives of over 5,000 girls, ages 5 to 18, each year, by providing year-round holistic, compensatory, and intentional programming focusing on STEM (Science, Technology, Engineering & Math), financial literacy, sound body image, healthy relationships, and college and career readiness. Learn more about Girls Inc. in Orange County, California.